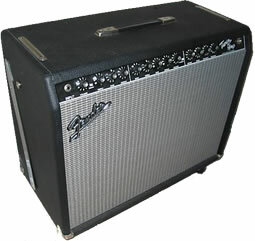 Fender amplifiers are the grand-daddies of so many other guitar amps. It's amazing to learn how many of the most well-known guitar amps had their start as a Fender ampl. Start looking up the history of your favorite amps, and inevitably there's an old Fender amp in the story that either got tinkered with and modified or torn apart to learn how they work. From Jim Marshall starting with a Fender Bassman® amp and modifying it, to Randall Smith soupin’ up a Fender Princeton® amp to create the "Princeton Boogie", as he called it – the first Mesa Boogie amps. You might say Leo Fender influenced the base tones of almost every other guitar amp builder out there today. Maybe that’s a bit of a stretch to say, but it sure seems like it. Leo Fender started out his company inventing the solid-body guitar, which led to developing the Telecaster®, the first mass-produced solid-body electric guitar. Fender began building amplifiers in 1949, starting with the Super Amp®. He followed this with the Fender Bassman®. The Bassman® was built to handle another of Leo Fender’s inventions – the Fender Precision Bass®. Get more history about the Fender company here. As far as pricing goes, there are Fender amplifiers to fit most budgets, ranging from around $100US for a micro-amp to $4000US for a vintage "Vibro-King Custom®" reissue. Fender makes their suggested retail prices freely available to customers. They show the suggested retail pricing, but street prices are usually less. Eddie Van Halen has a signature company (EVH) and his 5150 amplifier is built by Fender. Check ’em out here if you have a few thousand dollars to drop. Head over to the Fender Musical Instrument Company website to get the low-down on Fender amplifiers.